UAE residents have rapidly adopted the museum and made it a favourite destination to gather with family and friends. They represent 40 per cent of the museum’s total number of visitors. Emirati nationals are in the top two nationalities of residents who visited the museum and is the top nationality of repeat visitors. The museum has 5,000 members to its loyalty programme (Art Club). 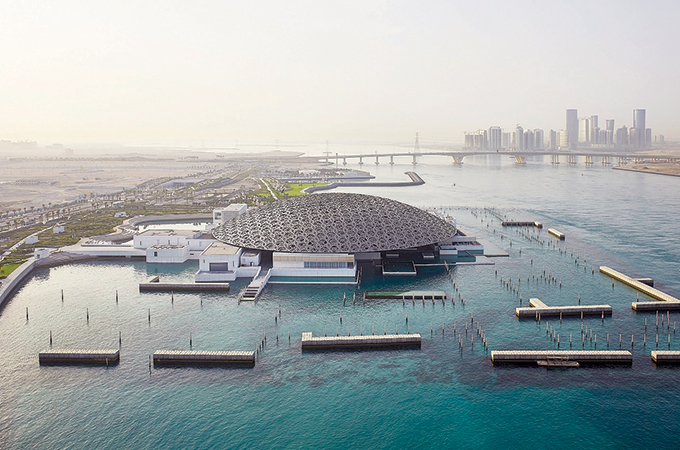 Louvre Abu Dhabi has also become a global magnet for international visitors who account for 60 per cent of visits. The museum is driving tourism to the emirate and visitors come from all parts of the globe, including the Middle East, Europe and Asia, with France, Germany, China, UK, the US, India and GCC being the top visitors. Overall, India is the top nationality of visitors, including Indian tourists and UAE residents. The museum has hosted more than 1,000 school trips, 5,000 guided tours, workshops and masterclasses, and programmed 115 special events from Bait Al Oud performances to talks, film screenings and concerts with more than 400 artists from 22 countries including a major show by British pop star Dua Lipa to celebrate its first anniversary on November 11. The Manga Lab, a special space to experience contemporary Japanese culture, has been popular with teenagers and young adults. This year, two flagship international exhibitions will be presented: Rembrandt and the Dutch Golden Age: Masterpieces of the Leiden Collection and the Musée du Louvre (February 14 to May 18, 2019) and the photography show Opening the Album of the World, Photographs 1842-1896, in partnership with Musée du quai Branly – Jacques Chirac (April 25 to July 13, 2019).